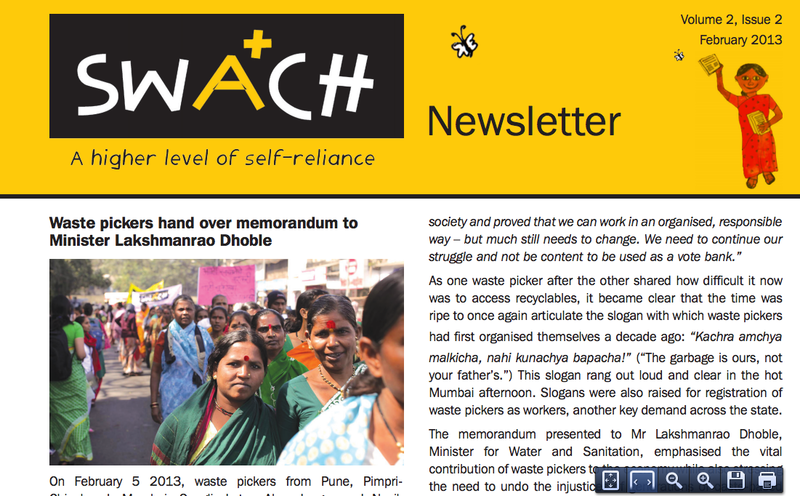 We invite you to read this 5th edition of “Struggles and Victories: Waste pickers on the Frontline”, the second bi-monthly newsletter of 2013. You will certainly be impressed SWaCH cooperative’s powerful campaign called “Send it Back”, in which the workers are fighting multinational companies’ irresponsible disposal of sanitary napkins. We are also extremely proud that for the first time in more than two decades of the Goldman Enviromental Prize, a grassroots, third generation Colombian recycler named Nohra Padilla has received this tremendous and well-deserved honor, and got to meet President Barack Obama! The prize coincides with a landmark victory in the city of Bogota, where 4,000 waste pickers are receiving payment for their work after more than two decades of organizing efforts. Another recent award recognized the global significance of waste pickers: Chintan, based in India, received the United Nations Intercultural Innovation Award for grassroots projects that encourage cultural exchange. 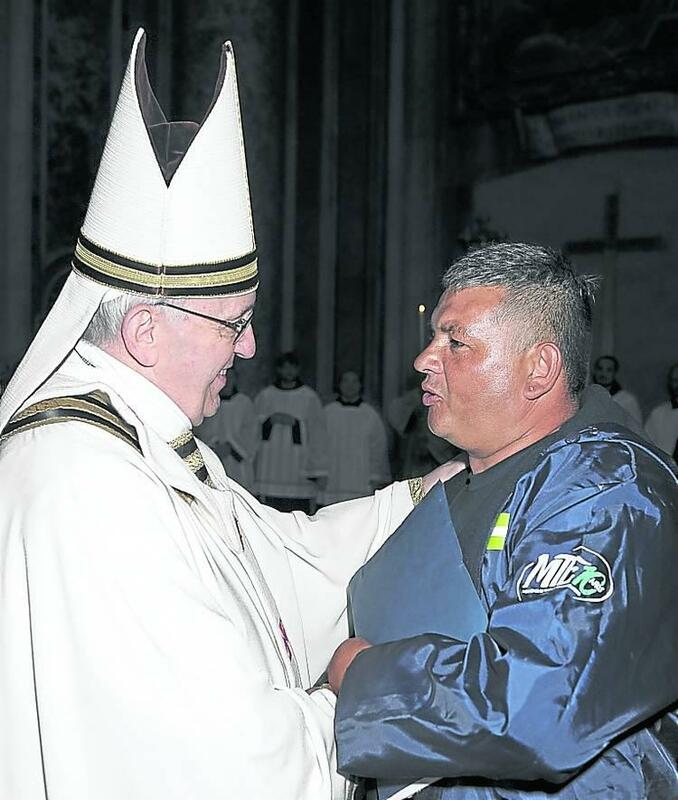 The waste pickers of Argentina, the cartoneros, were also recognized internationally when Sergio Sánchez, a member of the Movimiento de Trabajadores Excluidos (MTE), accompanied Pope Francisco during his inauguration at the Vatican. 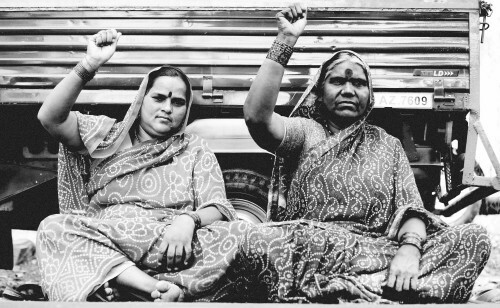 Not all news is good news as the struggle continues in Pune, where new contractors have violated labor and minimum wage laws and SWaCH workers are using public records requests and the legal system to fight for their livelihoods and dignity. 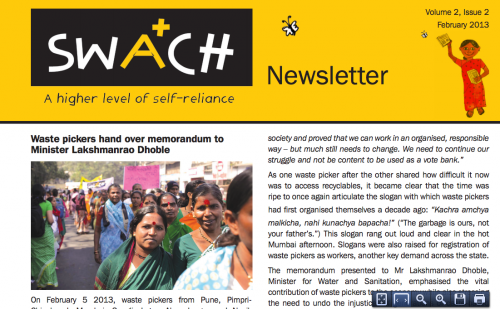 You can read more about SWaCH in their latest newsletter. 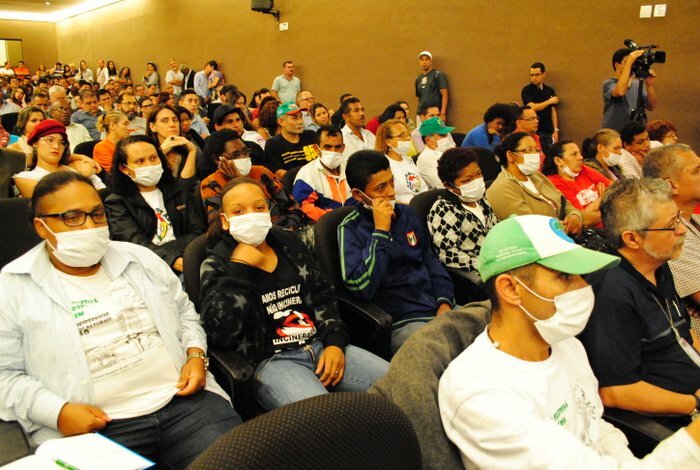 In Brazil, the fight against incineration continues. In São Bernardo do Campo, waste pickers attended a public debate about incineration between the municipal government and a coalition against incineration. The city plans to install an incinerator that will burn waste in several surrounding cities. Read about the waste pickers’ powerful acts of protest at the debate. Global Waste Pickers’ Day continues to grow, with messages, support and social media outreach from more than 14 countries. This year we are proud to see waste pickers mobilizing for their rights in Nepal and the Democratic Republic of Congo! Nepal waste workers campaign for recognition and respect – newspaper clipping. Photo credit: Srijana, Practical Action. Photo from the sit-in. Courtesy: KKPKP. The Pimpri Chinchwad Municipal Corporation (PCMC) authorities had been shockingly apathetic to the inhumane treatment of over 400 waste workers employed by its contractor, BVG Kshitij company. This treatment and the privatization of waste management in Pune that has forced SWaCH waste pickers’ cooperative to compromise its work have been going on since the end of 2012. In early March, the Kagad Kach Patra Kashtakari Panchayat (KKPKP) waste pickers’ union began a sit-in to protest their treatment. This article is a brief update on the 6 day ‘sit-in’ organised by KKPKP outside the PCMC that concluded when the Municipal Commissioner conceded to KKPKP’s demands when he was presented with documents collected using the Right to Information Act. These documents prove that the contractor has been manipulating attendance records, not providing required employees and equipment, and violating labor and minimum wage laws. Chintan receives the UN Intercultural Innovation Award. Photo credit: Chintan. 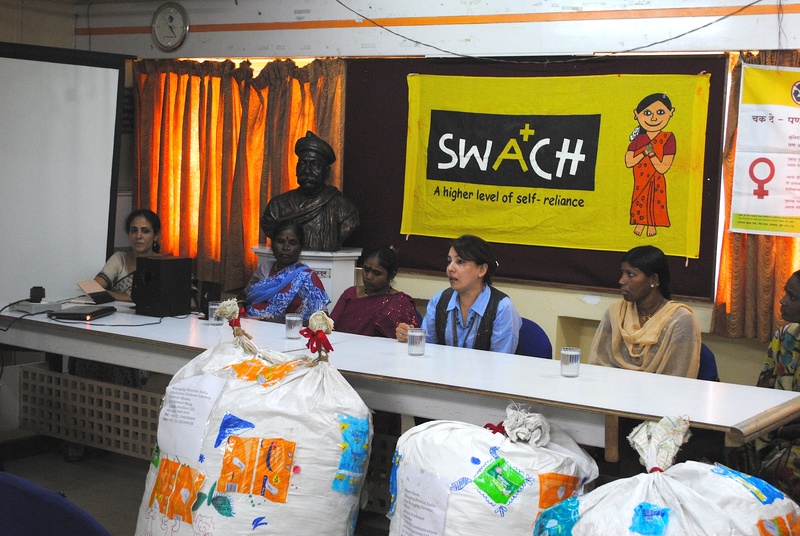 SWaCH is a collective of self-employed waste pickers that provides waste collection and management services. It publishes a quarterly newsletter. The latest has a lot of great articles! Included: articles about SWaCH and KKPKP workers making their demands known to state government officials last month. They demanded registration of waste pickers as workers, livelihood protection and education for waste pickers’ children. In another article, SWaCH gives an update on the fight against the privatization of waste management in Pune and discusses why weight based systems — such as the one a private contractor there is using — don’t work. The weight-based system could even discourage citizens from recycling! In other news, SWaCH will be launching a school program on waste generation, which aims to make school children more aware about waste, the people behind it, and how it affects the environment. Also included is the moving biography of a proud SWaCH waste picker, and a list of trainings and workshops, including one about India’s Right to Education, a law that gives disadvantaged children access to education. This is only a summary! Check out the complete newsletter! “No more speeches! No more announcements!” waste pickers shouted after finally receiving payment as service providers. Photo credit: Federico Parra. After over 20 years of fighting for recognition and inclusion in the city’s waste management system, the organized waste pickers of Bogotá finally saw their dreams come true when the municipal government issued them in March their first payment for the collection and transportation of recyclable materials. It was the first time they were paid as public service providers to the city. This victory cannot be explained without looking back at the ongoing struggle of the Asociación de Recicladores de Bogotá (ARB) for waste pickers’ rights and livelihoods. 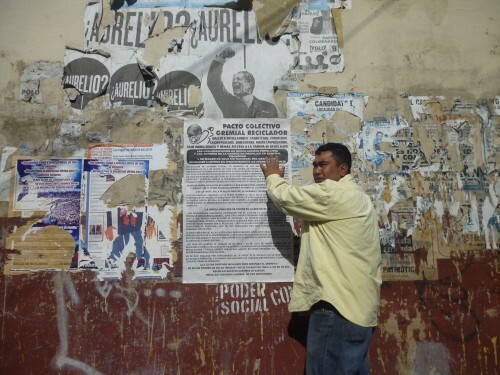 The full article summarizes the history of the Bogotá struggle as well as the steps the government must take as part of the court order mandating the inclusion of waste pickers in the city’s solid waste management. 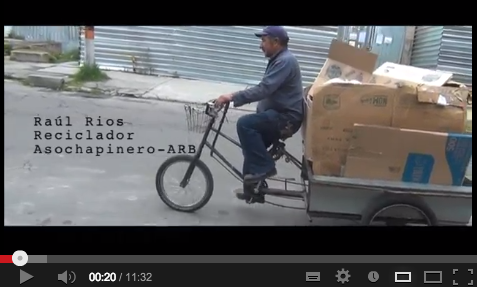 The video discusses Auto 275, a Bogotá law meant to protect waste pickers’ rights as public service providers and to guarantee payment. 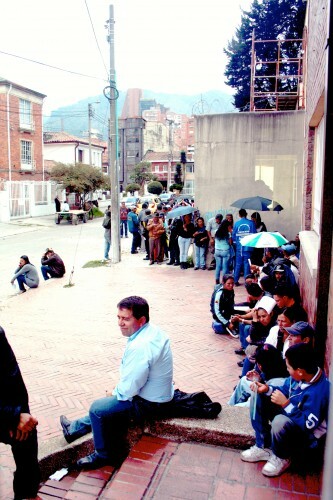 It led to the court order that resulted in the organized waste pickers of Bogotá receiving priority as service providers and receiving payment for the first time. Auto 275 is explained via interviews conducted by a Bogotá waste picker with government authorities. The version with English subtitles is coming soon! 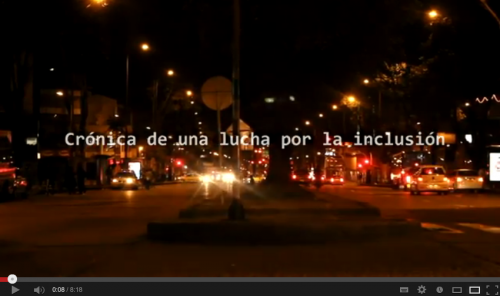 “Chronicle of a Fight for Inclusion: The December 2012 garbage crisis of Bogotá” (now with English subtitles) shows organized waste pickers taking actions to reduce the impact of the garbage crisis in Bogota and giving an account of the series of unfortunate events and bad decisions that led to it, and of their struggles and victories throughout time to secure their rights and livelihoods. 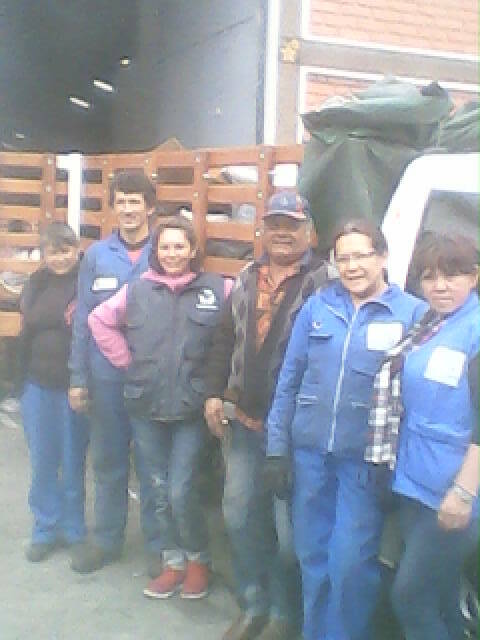 Recicladores of Bogotá’s El Triunfo cooperative receiving trucks paid for by the city government. Credit: Nohra Padilla. Sergio Sánchez, a cartonero with MTE movement, with Pope Francisco. Courtesy: MTE. The inauguration of Pope Francisco was an exciting event for Argentina but especially for the waste pickers of Argentina, called cartoneros in the country. Religion aside, this event helped shed light on the role of the cartoneros when Sergio Sánchez, a cartonero and member of the Movimiento de Trabajadores Excluidos (MTE) — a movement for waste pickers’ rights — accompanied the new Pope to the Vatican for his inauguration. The pope had requested the presence of a waste picker. Sánchez had participated for several years in the Pope’s masses held in Buenos Aires. The MTE movement says through his participation in the ceremony, Sánchez was representing all excluded workers of Buenos Aires. 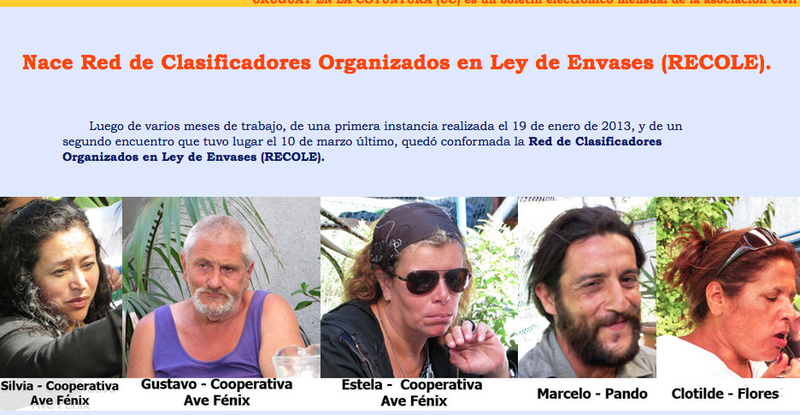 Uruguay’s RECOLE – a waste pickers’ network formed around the national packaging law. Credit: RECOLE. 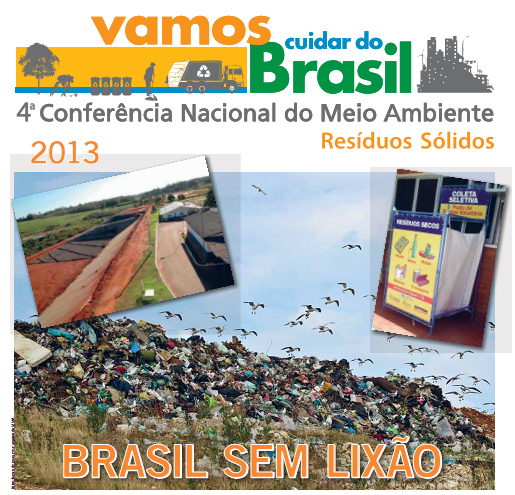 “Brazil without open dumps.” Message from the 4th Conference on the Environment, Brazil. In international news, in March, the MNCR sent representatives to Tunisia to participate in the World Social Forum. Together, the social movements published the Declaration of the Social Movements Assembly. Leaders of RECRED, the nascent waste picker’s network in the DRC, held a meeting on March 1st in honor of Global Waste Pickers’ Day. 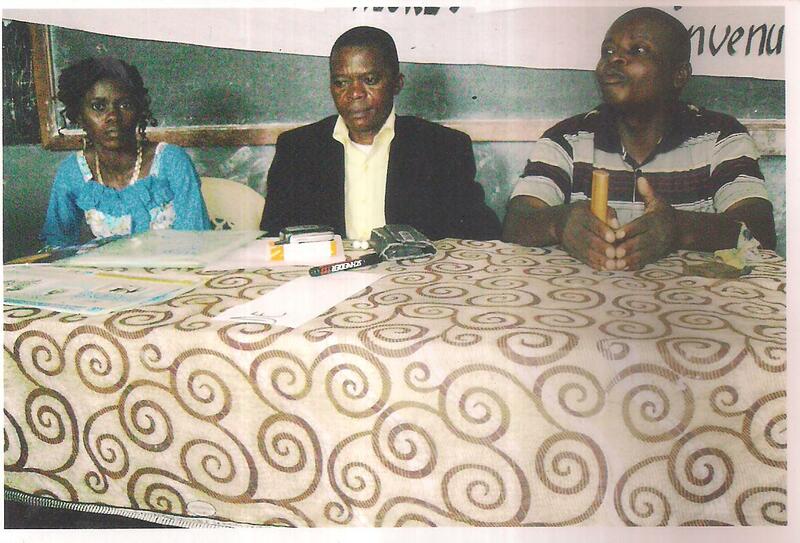 Photo credits: League for the Rights of the Congolese Woman. Winners of the day: global recyclers. Photo credits: Asiye Etafuleni. To honor Global Waste Pickers’ Day (also called Global Recyclers’ Day) on March 1st, the Pine Street precinct recyclers, mostly women working in the cardboard recycling sector, challenged last year’s record of fellow recyclers of the Palmer Street precinct – of the largest amount of cardboard sold in one day. Makhoba, a Recycler Leader of Pine Street, shared the message: “We are happy to be recyclers, it is our work and the fact that we do it in broad daylight, come rain or shine shows that we are not ashamed of it!” The second message was a plea to formal businesses and government for support for their work. This was after talking about the challenges of being harassed, charged excessive rentals on sites where they sort, and being made to pay illicit bribes to some formal business representatives in order to access their recyclables. The full article with lovely photos discusses in more detail the challenges faced by women recyclers, the importance of government acknowledgement, and more on the projects being carried out by Asiye Etafuleni and the Bright Site Project. Recicladores march in Bogotá on March 1st. Photo credit: ARB. Great news! On Global Waste Pickers’ Day 2013, the communications team kept track of the messages about Global Waste Pickers’ Day and the countries where they came from to get a sense of where and how the day is acknowledged by waste pickers, allies, and the media. In total, we counted 19 articles in the news media in seven Latin American countries and 70 messages (facebook, twitter, email) from 16 countries, from the continents of Latin America, Africa and Europe. We compiled the messages that were submitted to the Global Alliance here after putting out a call to action, co-written by Alex Cardoso, a waste picker and leader with the national movement of Brazil. We consolidated the messages from many sources on Storify. Hopefully, the importance of Global Waste Pickers’ Day will continue to spread around the world! 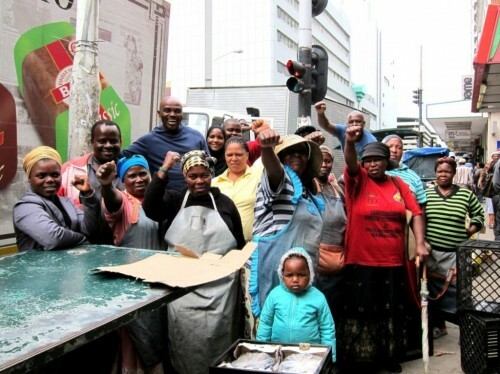 It’s a process but every year, more people are becoming aware of the waste pickers’ struggle for recognition and why the waste pickers deserve this day in their honor. 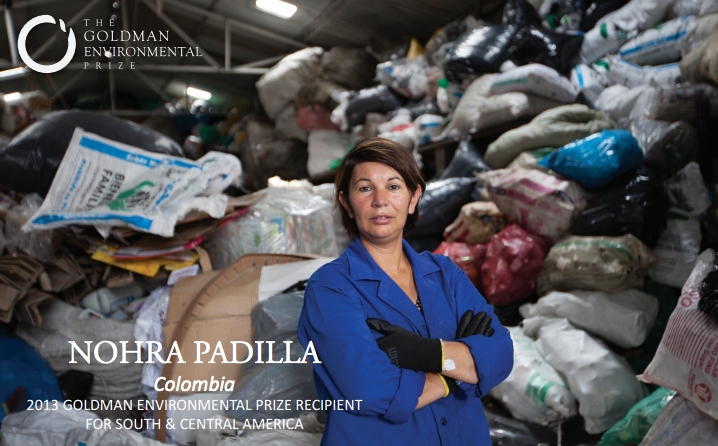 The article about Nohra Padilla produced by the Goldman Environmental Prize. 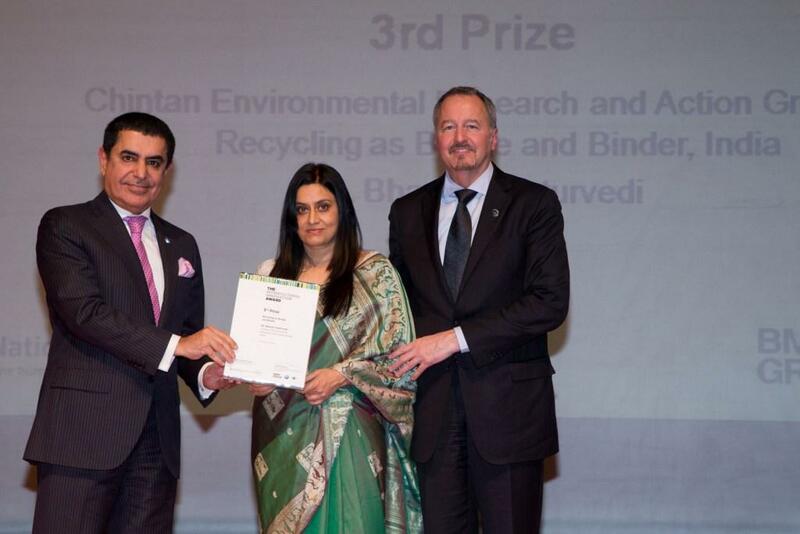 Image courtesy: Golman Environmental Prize. 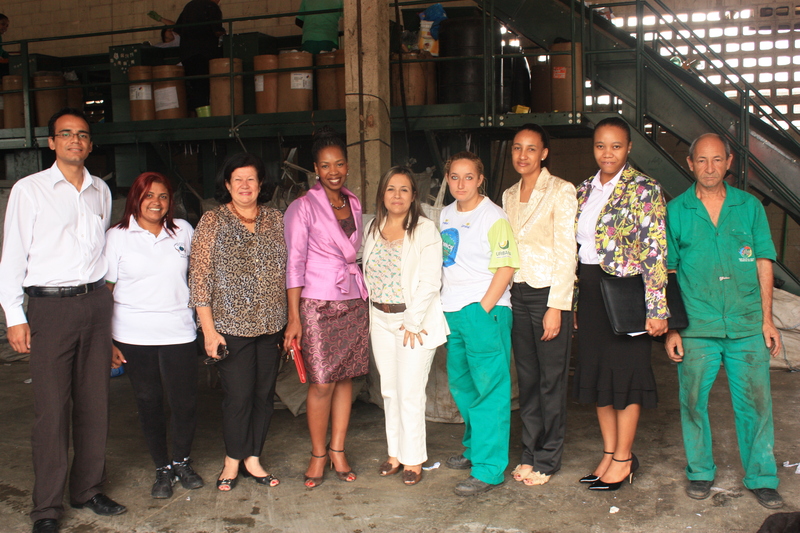 South African government delegates visiting waste pickers’ cooperative CooperLimpa in Diadema, São Paulo. Photo credit: WIEGO. In the beginning of April of this year, officials from the South African Department of the Environment (chemical and waste management branches) were in Brazil and Colombia to learn about inclusive solid waste management. The delegates went straight to the heart of the the Brazilian movement, to the MNCR‘s headquarters in São Paulo. They continued on to Belo Horizonte, where they visited a cooperative and met with members of the Municipal Waste and Citizenship Forum. Their last stop in Brazil was Diadema, in the industrial belt of São Paulo, where they visited CooperLimpa cooperative, learned from waste pickers and city leaders about the city’s participatory waste management model, and also met with the mayor. Their final stop in Latin America was Colombia, where they met with the Association of Recyclers of Colombia (ARB), whose court victory and long struggle has recently resulted in the informal recyclers becoming responsible for the city’s recycling collection and processing, and receiving payment as service providers. The learning exchange was facilitated by Women in Informal Employment: Globalizing and Organizing (WIEGO). More about the visits soon! Mary Robinson, Ireland’s first female president, on why women will bear the brunt of global warming. 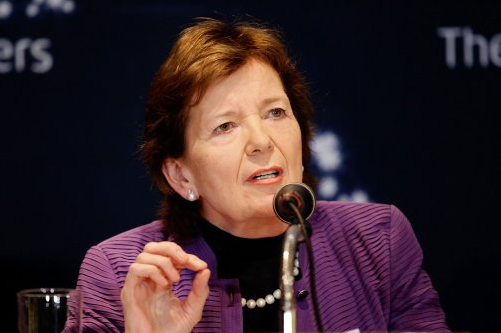 Photo credit: Daily Beast.